Not to be confused with the Battle of Sandwich (1217). 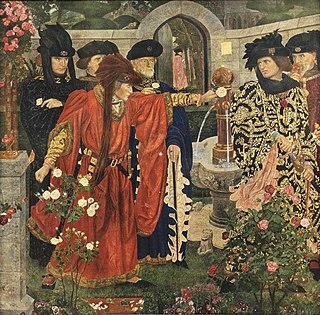 Edward, Earl of March and Richard, Earl of Salisbury, had fled to the English stronghold of Calais after their defeat at the Battle of Ludford Bridge. Sent ahead by Warwick, Sir John Dynham found the king's fleet lying at Sandwich. Arriving at dawn, Dynham launched an attack while the king's officers were still in bed. His success was so overwhelming that he "tooke the principall shippes of the Kynge's navie... well furnished with ordinaunce and artillarie". 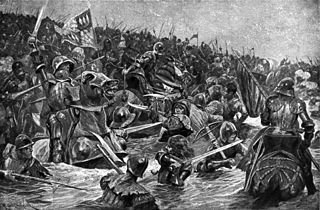 With command of the English Channel secured by this battle, a small Yorkist army of about two thousand men landed in Kent from Calais ahead of March and Warwick. Once the town of Sandwich itself had been secured by his forces in June 1460, Warwick landed there with March and Salisbury on 26 June 1460. Having cleared the Channel of French pirates (who had been able to raid the town thanks to the chaos caused in England by the civil war) and having made the coast of Kent safe, Warwick was received in Kent as a hero. 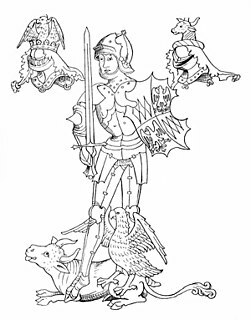 Warwick's army soon increased in numbers, joined by many new recruits, and was largely well supported as it proceeded by way of Canterbury and probably Wickhambreaux. 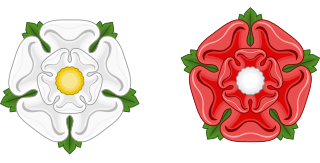 The Yorkist commanders had remained popular in Kent, and the officers in charge of protecting the county against them even joined forces with the rebels. The growing army then marched on London, where it arrived on 2 July to be welcomed by William Hulin, Lord Mayor of London, and Thomas Bourchier, Archbishop of Canterbury. The Yorkist army then marched towards Northampton to meet Henry VI and his Lancastrian army, and the two forces met at the Battle of Northampton on 10 July. ^ England), Lincoln's Inn (London; Roxburgh, Sir Ronald; Baildon, William Paley; Walker, James Douglas (1 January 1902). The Records of the Honorable Society of Lincoln's Inn: 1776-1845 ; Calls to the bar, 1776 to 1845 ; The site of Lincoln's Inn, by W.P. Baildon ; Maps and plans ; A catalogue of portraits ; List of painters, and engravers ; Catalogue of plate ; The heraldry of Lincoln's Inn ; Appendix. Lincoln's Inn. ^ "Folios 301-313: Nov 1457- | British History Online". www.british-history.ac.uk. Retrieved 10 April 2016.